A 23-year-old immigrant from Tajikistan decided after finishing his IDF tour of duty that he'd rather live in the Palestinian Authority. A Russian-born Israeli citizen says he wants to live in the Palestinian Authority, and renounce his Israeli citizenship. PA officials don't believe him. Tajikistan-born Israeli citizen Andre Pshenichnikov has been ejected from the Palestinian Authority – by PA officials and locals alike – several times. But the 23-year-old Jewish immigrant, who made aliyah with his family ten years ago, keeps going back, insisting that he no longer wants to live on the Jewish side of the border. 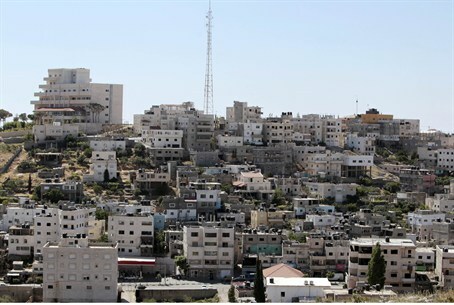 "We don't have a problem with any Israeli coming to be one of us,” said Arab residents of Deheishe, which still calls itself a “refugee camp” decades later, with television satellite dishes atop nearly every home. “We'll be honored and give them an ID card, but this young man was suspicious and he lied and that is why we handed him to the Israelis,” Tareq Abu Sheikha explained to The Associated Press. Abu Sheikha, who rented Pshenichnikov a room for a month, said the Israeli presented himself as a foreign activist – but the Arabs spotted his old IDF military ID card. He threw stones at Israeli soldiers together with PA Arabs along the roadside, but was also heard speaking in Hebrew on his cell phone. PA officials simply handed him over to the IDF, saying he needed to go through legal channels. “If people knew his true identity there's no guarantee for his safety,” Bethlehem governor Abdel-Fatah Hamayel told the AP, adding that the Israeli should have made an official request to the PA.
"I hate Zionism...” declared Pshenichnikov, who has since left for a two-month tour of Europe, but said he hopes to move to the PA when he returns. Israeli officials have not commented.